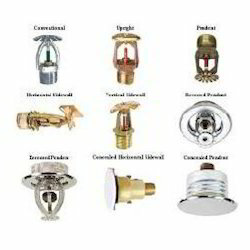 We Rathod Enterprise, Jamnagar (India), leading manufacturer & exporter of Brass Sprinkler Parts. Sprinklers are as well supplied by the CHAKRA GROUP. Sprinklers are old fashioned surfaces cooling systems which are effective even today. Sprinklers as the name implies sprinkles water at certain radius depending upon the size and specification of the sprinkler. Usually sprinklers are mounted on the roof of the poultry farm or may even be used for agricultural purposes. we are mfg. 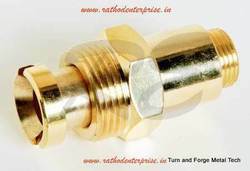 all kinds of brass auto sprinklers spare parts. Backed by our prosperous industry acquaintance, we present Fire Sprinkler Fitting Set. Product Name*: U Type Clamp available in various size 50mm to 110mm with sheet thickness 2.9mm to 4mm. We are specialized in manufacturing a qualitative range of Mini-Sprinkler Accessories 6 to meet the rising demands of the market domestic. These are fabricated using latest technology that are prevailing in the market and is used for consistent water application and maintain the ratio of the moisture of the soil.